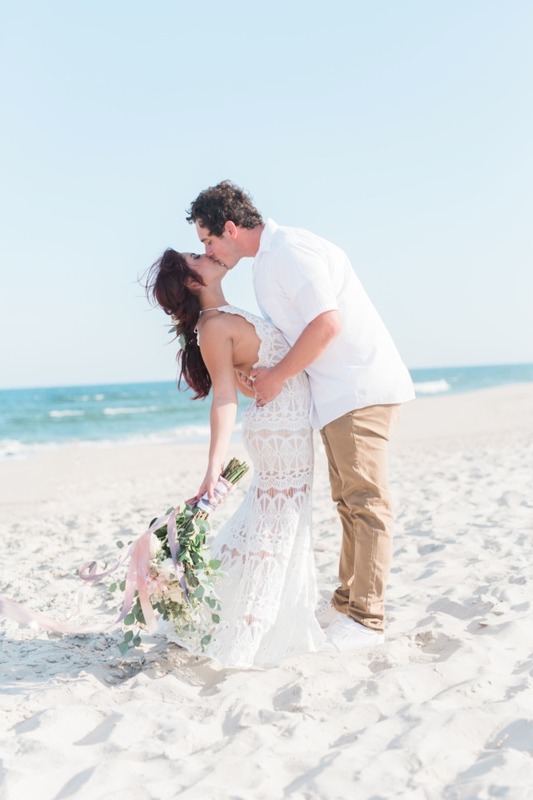 Who doesn’t want to say I do on a gorgeous white sand beach? 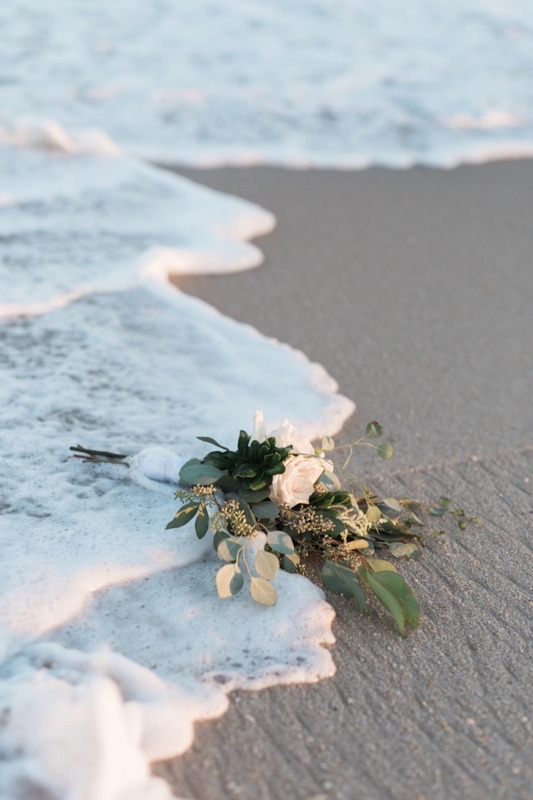 Well Katydid Signature Events & Floral Design and a talented team of vendors took the idea of a beach wedding to a whole new level! 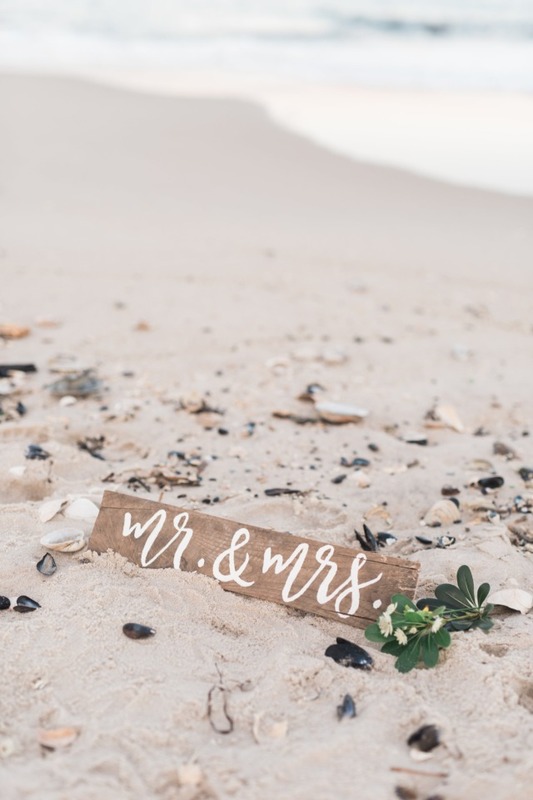 Their rustic boho design features several swoon-worthy details including a reclaimed wood table, beach wood arbor and handmade dream catchers. 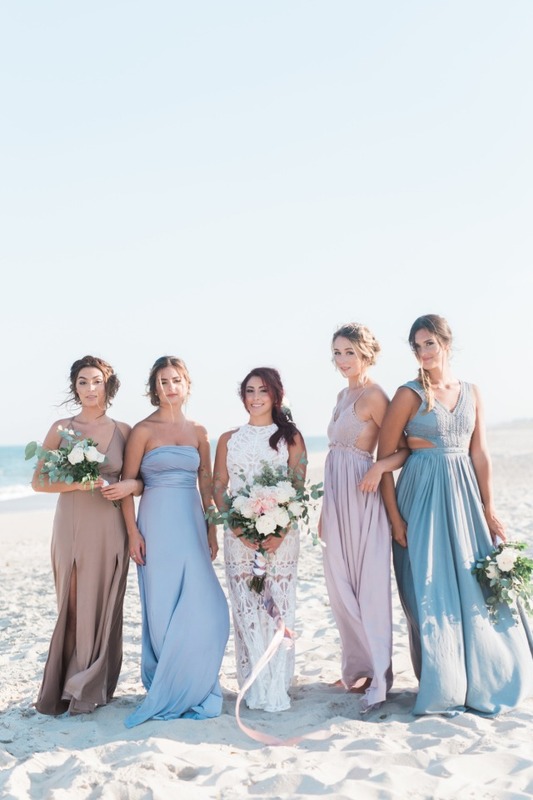 Natural tones of sea foam, almond, cream and dusty blue enhanced the beachy vibe while the mismatched dresses create a chic boho look for the bridesmaids from D. Monaco Designs. 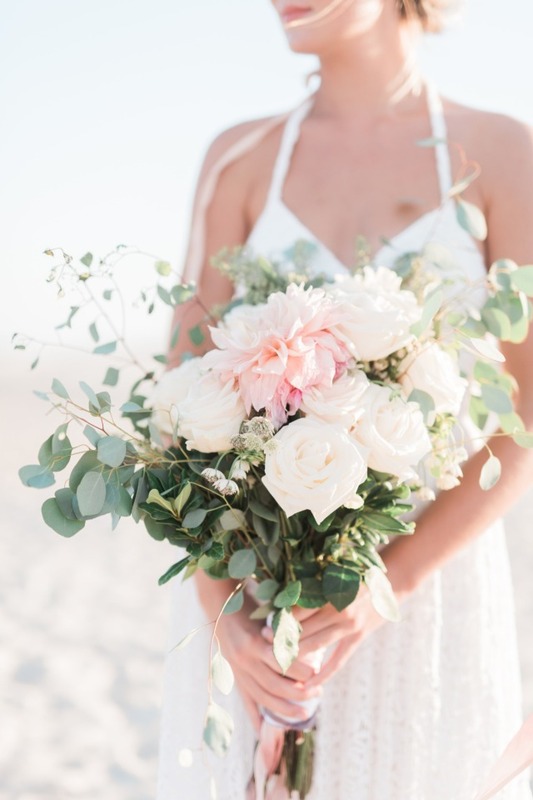 Keep scrolling for more amazing images from Jennifer Larsen Photography and be sure to pin your favorites from the full gallery after. 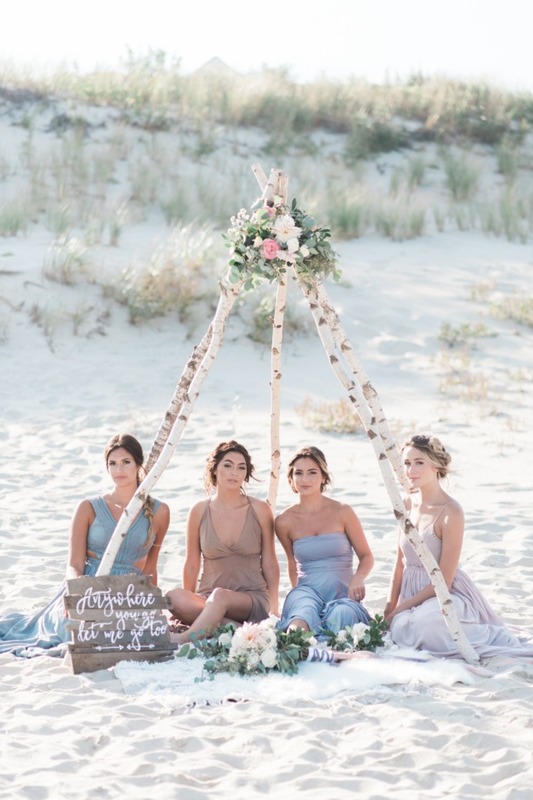 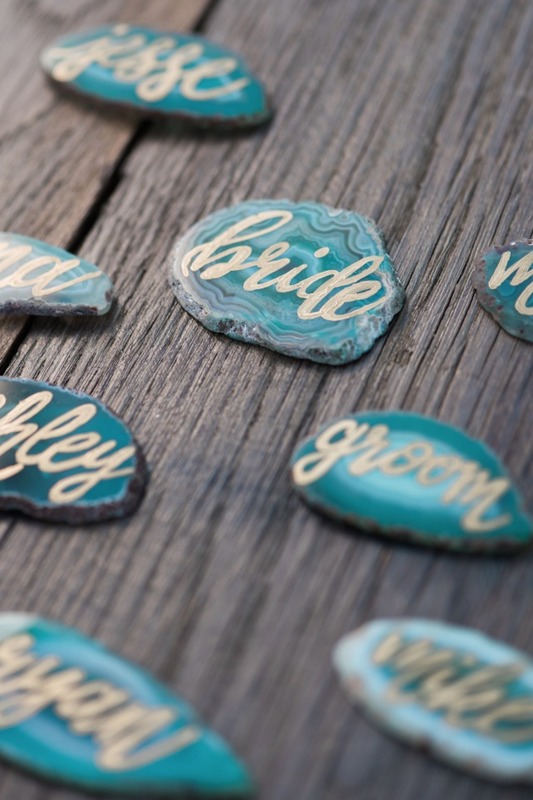 For the beach ceremony inspiration, boutique rental company, Rustic Drift set up their driftwood arbor (sourced from the beaches of NJ) adorned with handmade dreamcatchers by Jessie Hume of the popular Etsy shop, Wiggly William. 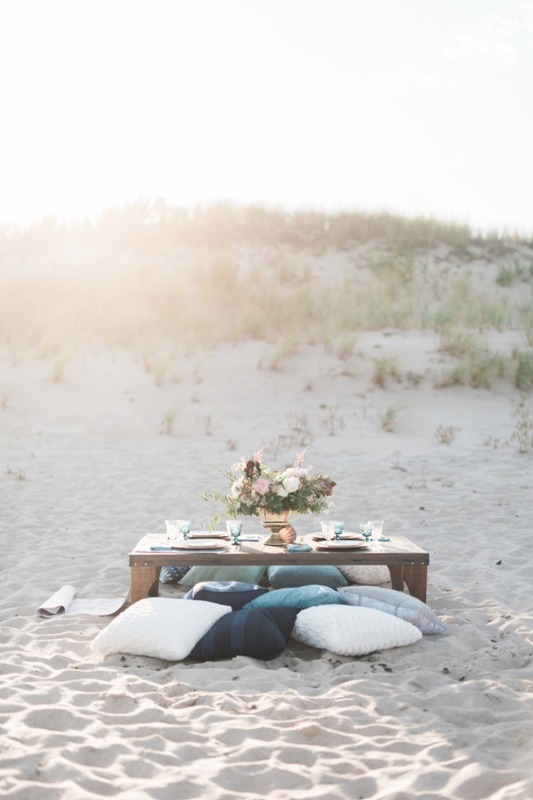 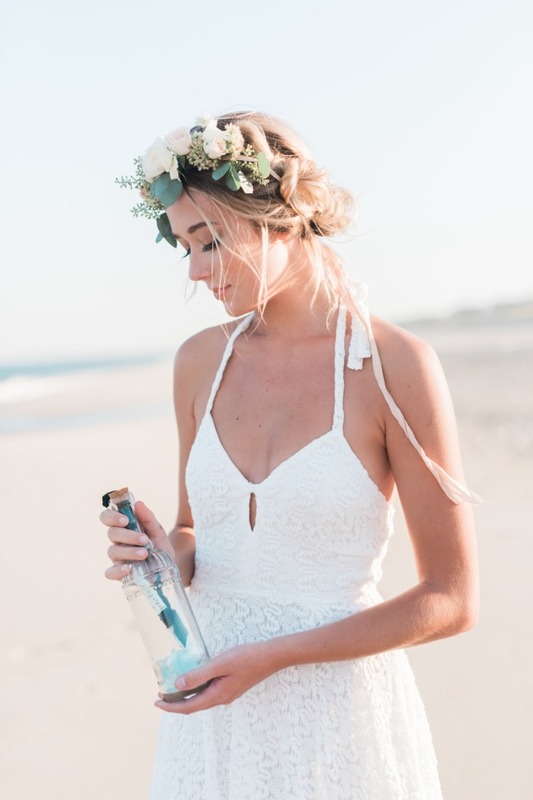 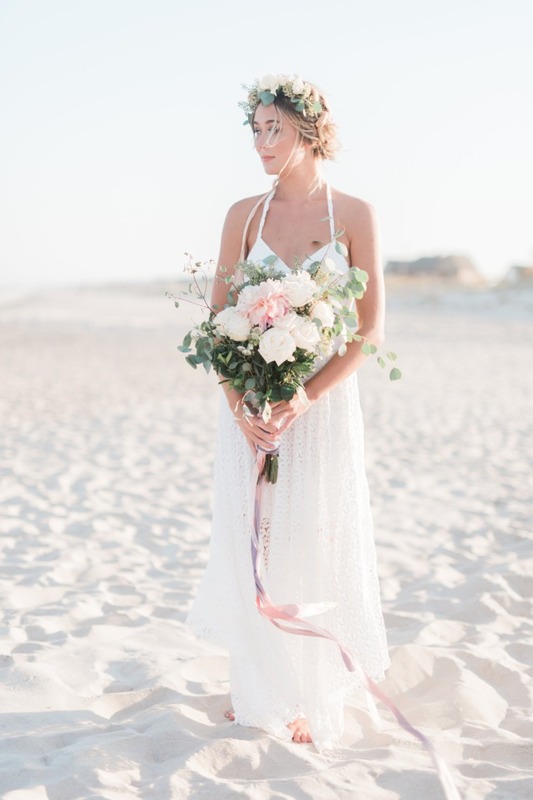 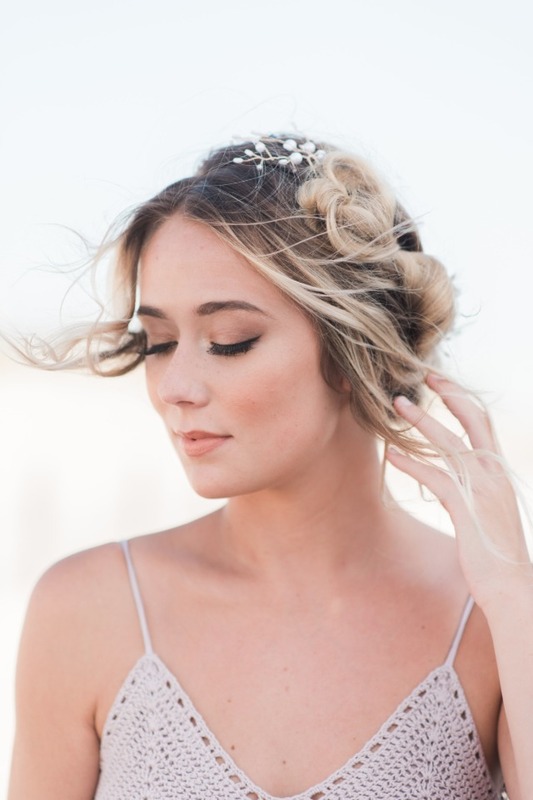 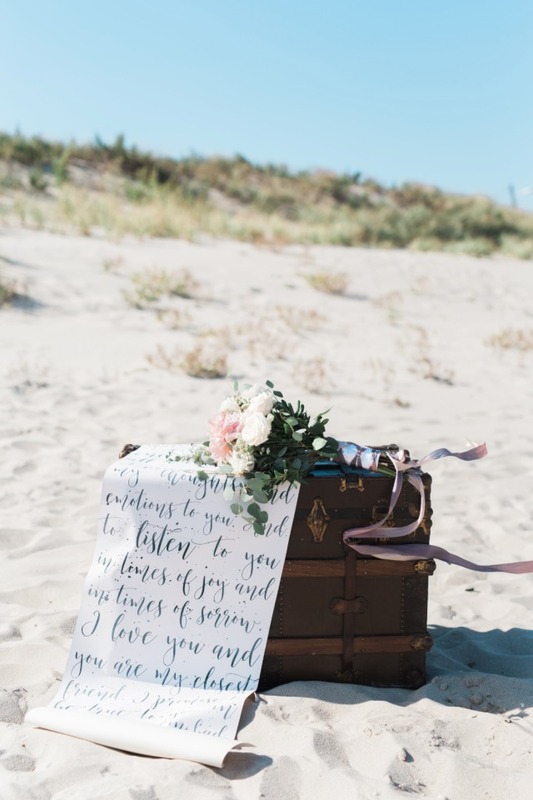 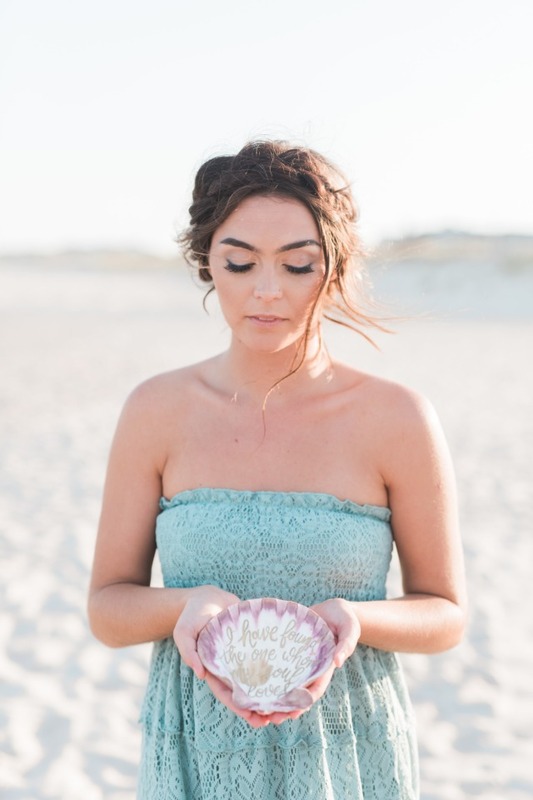 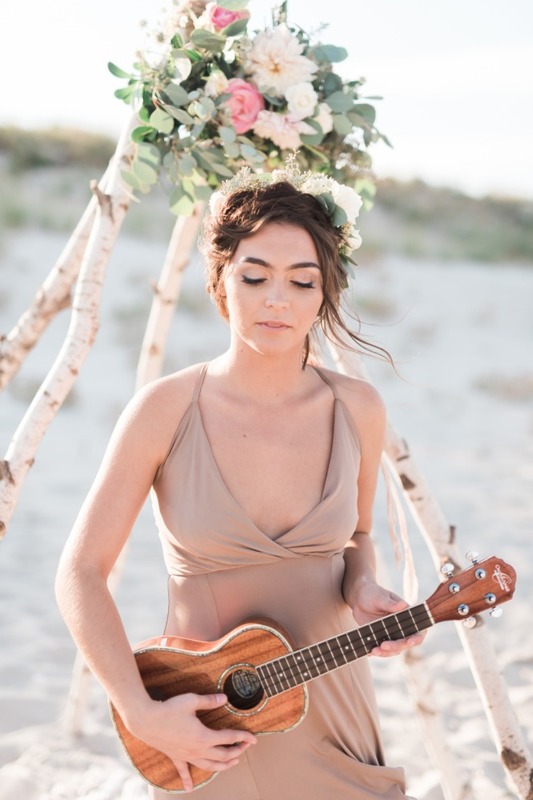 The white sand beaches, sweeping dunes and perfect September watercolor evening sky set the scene for a recent bohemian styled shoot designed by on-site hair and makeup bridal team, À Louer by Élan of Sea Girt, New Jersey. 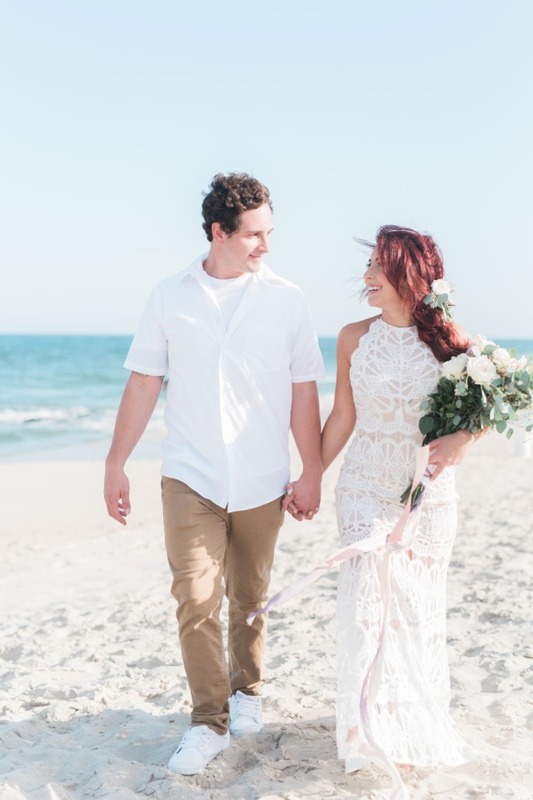 The goal of this shoot was to showcase the wedding talents of local area vendors who live by, work by and are inspired by the sea. 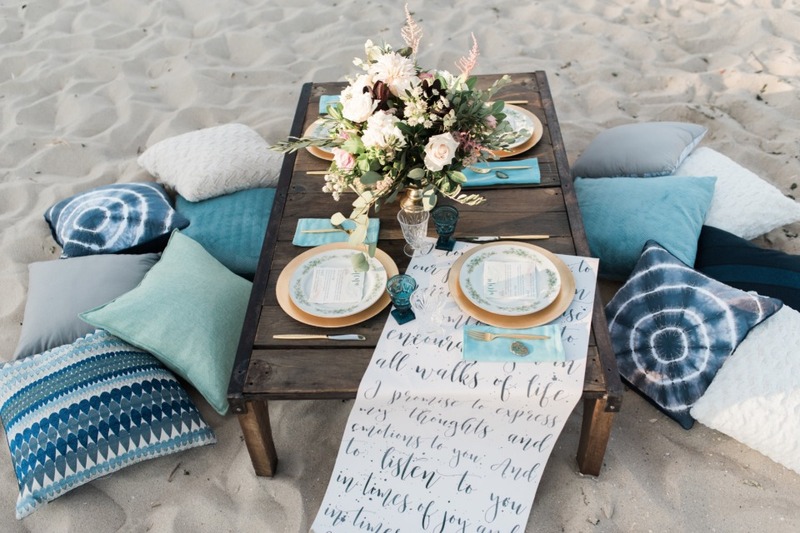 Rustic Drift designed a ground seating area consisting of a reclaimed wood table, tabletop rentals and throw pillows inspired by the color palette of the sea. 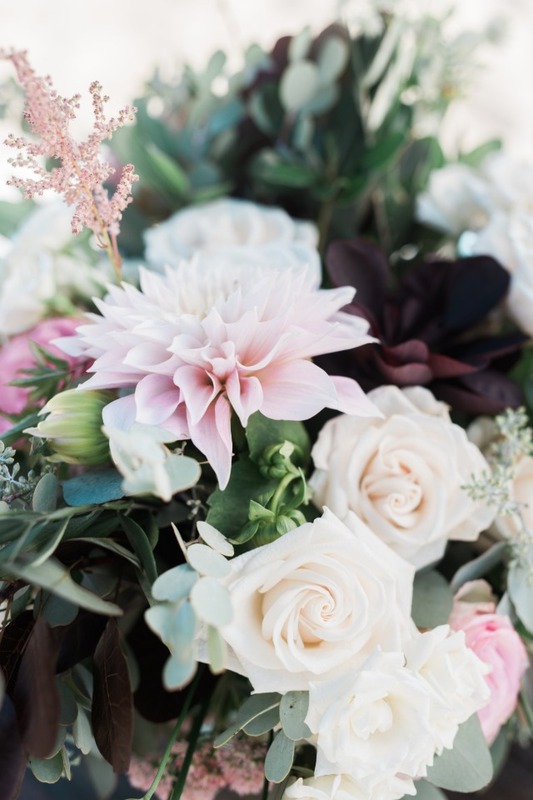 Katydid's complementing centerpiece with lush greenery, seeded eucalyptus, soft pink dahlias, ivory roses and a splash of bright pink peonies added beauty like no other to this setting. 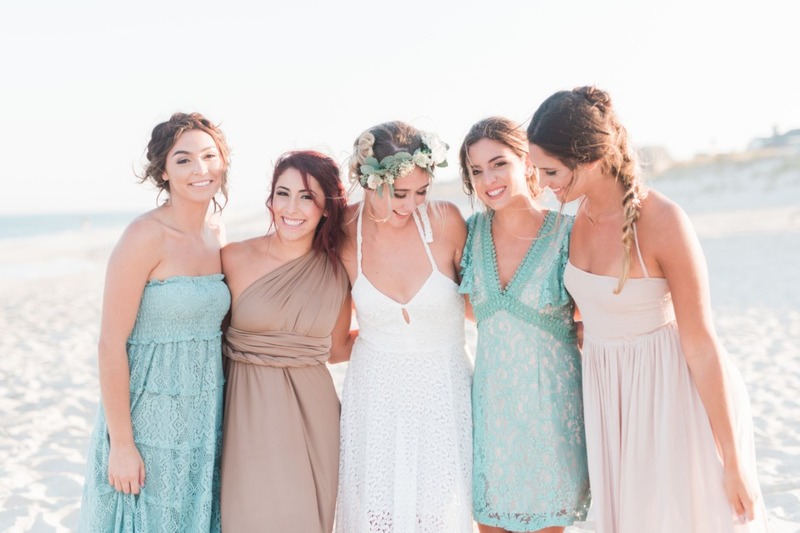 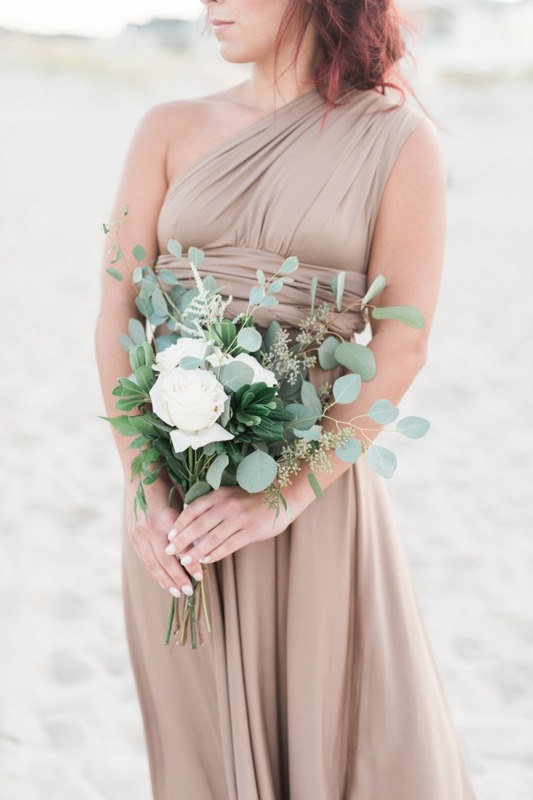 The bride and bridesmaids were each outfitted with beautiful dresses pulled by stylist Danielle Monaco of D. Monaco Designs, who chose soft tones of neutrals including sea foam, almond, cream and dusty blue. 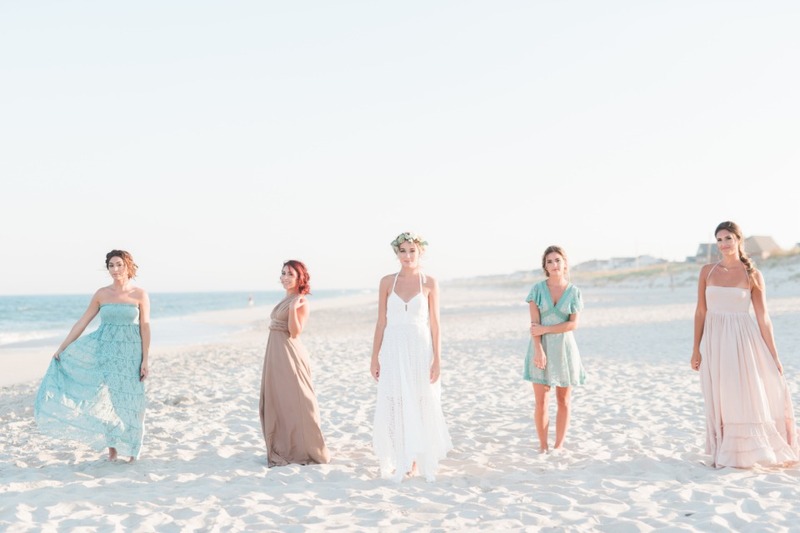 Hair and makeup by À Louer by Élan was kept natural; enhancing the beauty of each model. 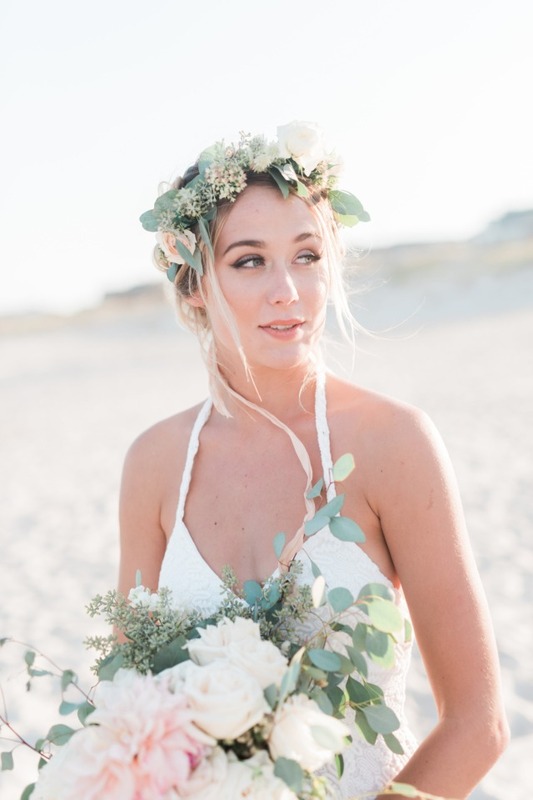 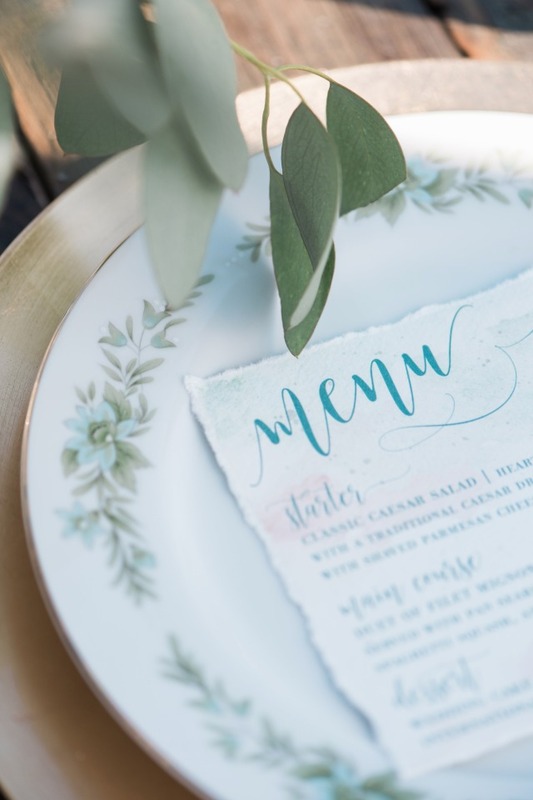 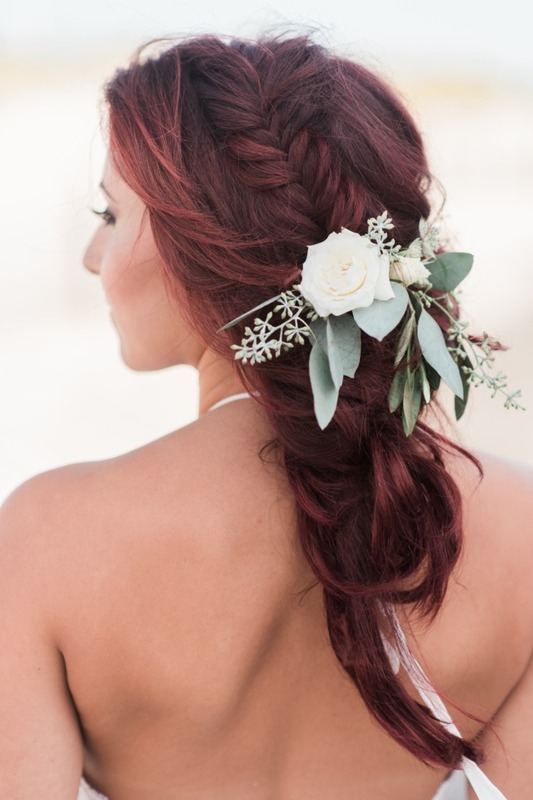 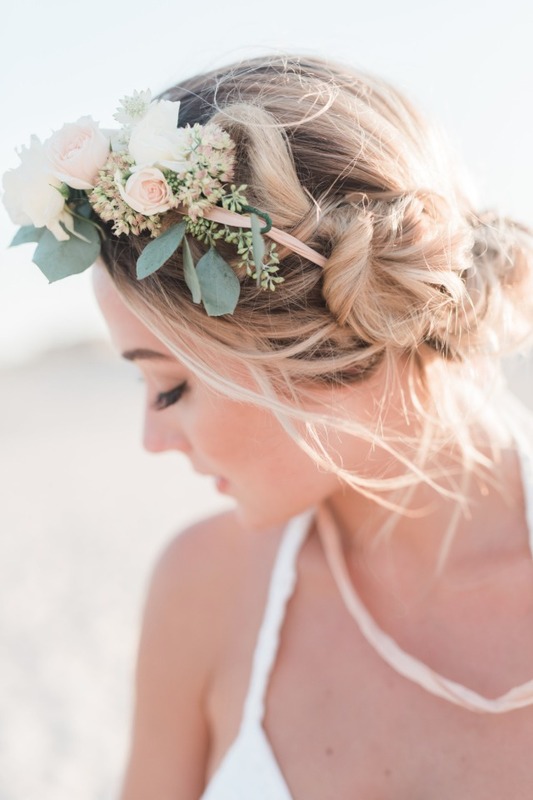 Free flowing curls and braids were embellished with petit florals and greenery designed by Katydid Signature Events & Floral Designs for a beachy boho vibe. 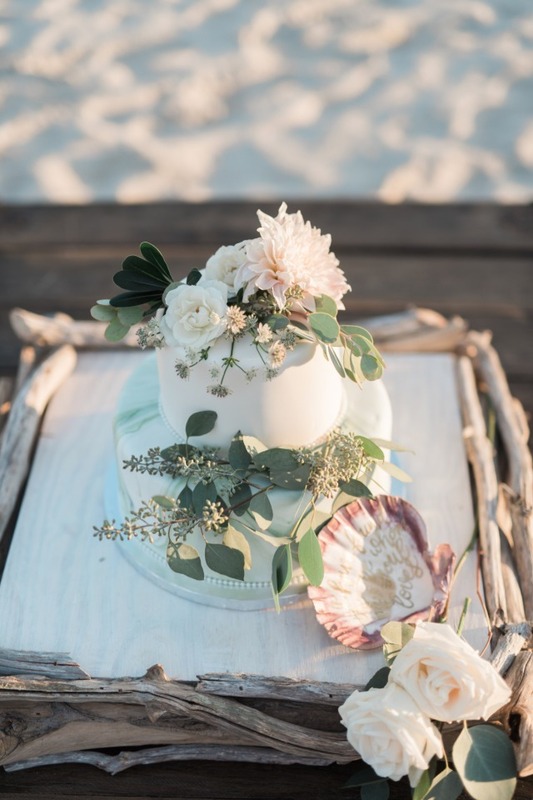 The only thing sweeter than this collaboration was a slice of the two-tiered marble fondant cake, made by Moester's Bakery. 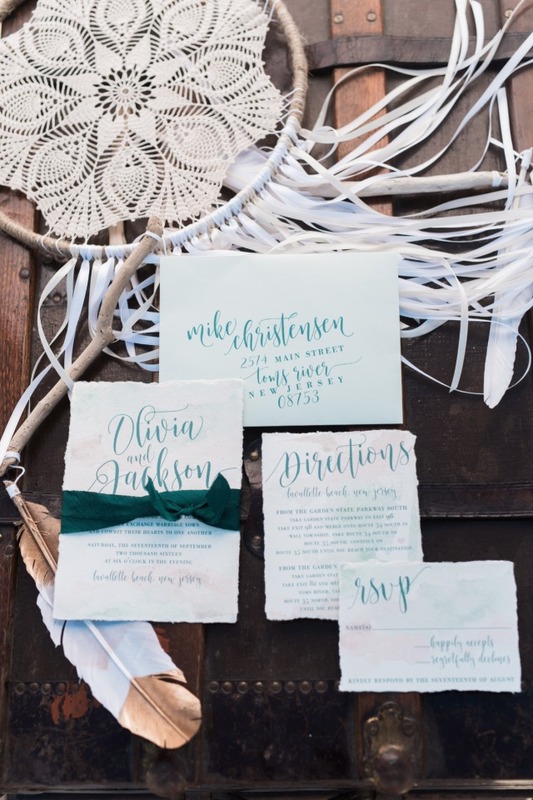 Photographer Jennifer Larsen beautifully captured the magic of every vendor including herself. 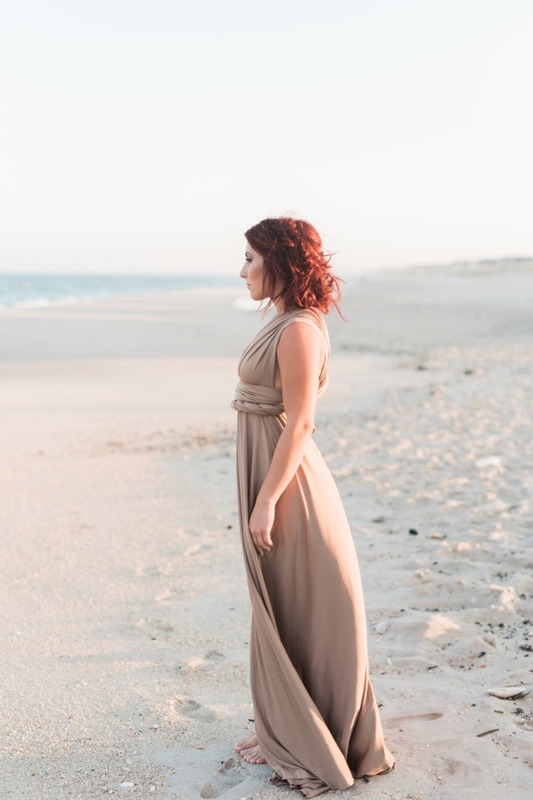 Her abilities to use natural light could not have been more perfect for the overall style of this shoot. 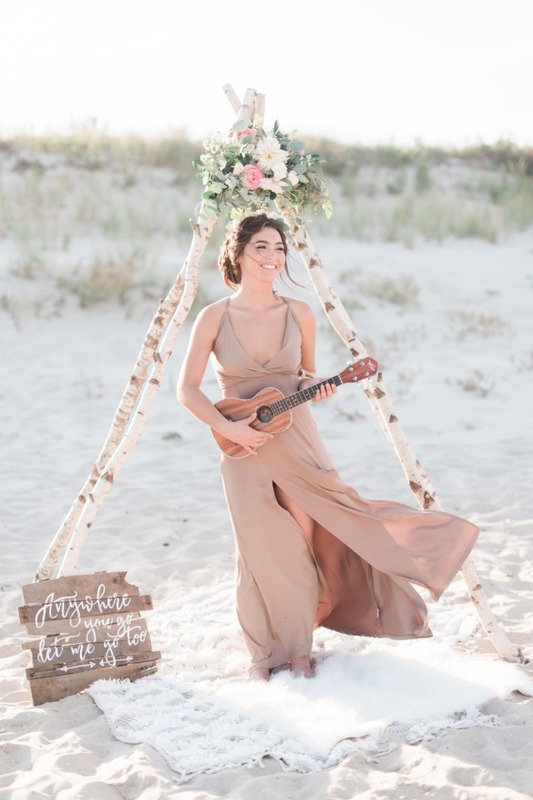 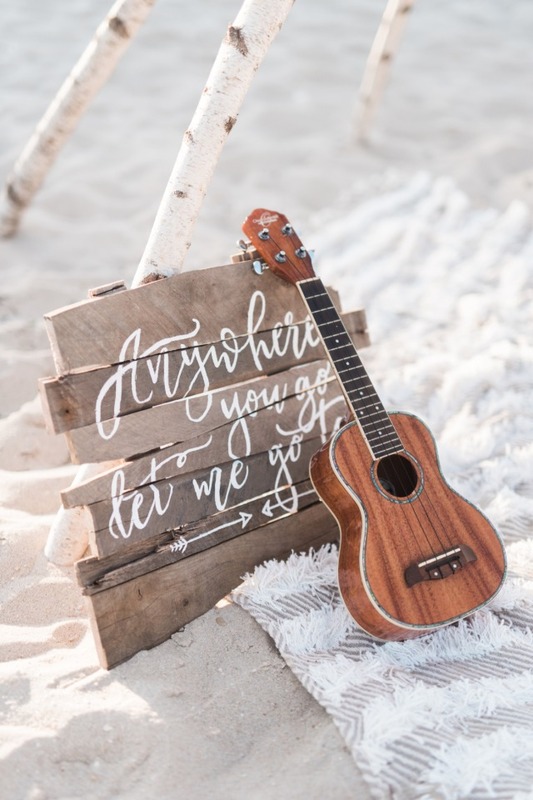 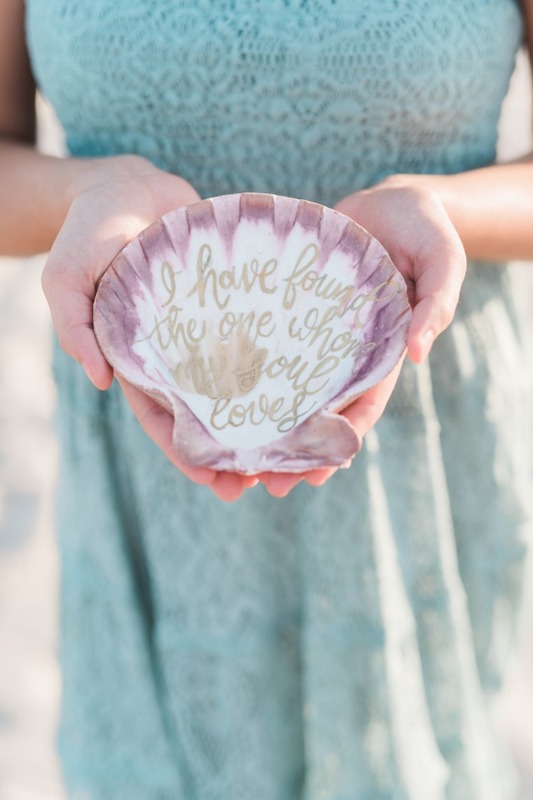 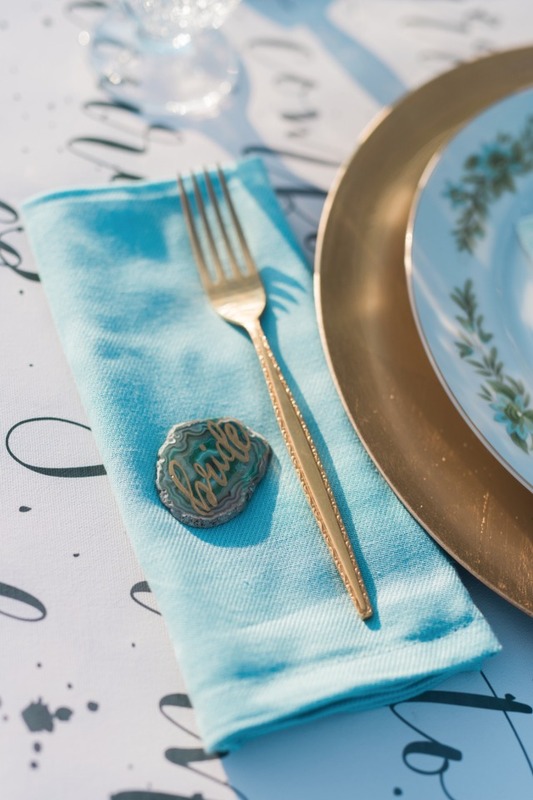 All these New Jersey vendors worked flawlessly together, each proving their abilities to bring this styled shoot to life for any aspiring boho beach bride.